The whole business of being an author today has changed a great deal, in a time when the publishing industry is going through rapid transformations. And so today I’m very pleased to present an interview with Lou Johnson, one of the founders and directors of The Author People, a brand new kind of business which aims to help authors negotiate these tricky times. Lou is highly regarded within the international publishing industry. 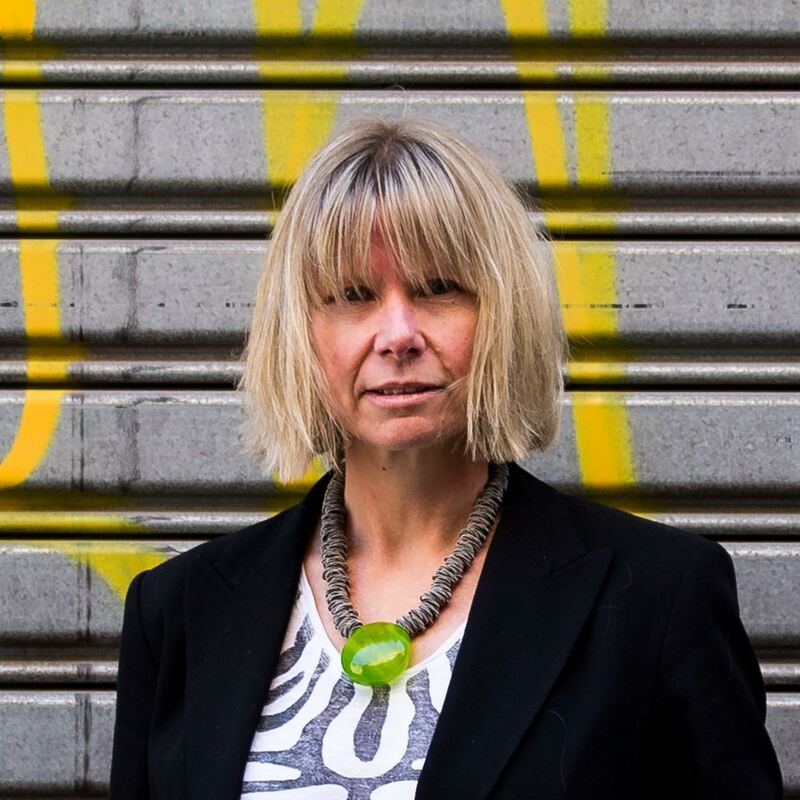 She has over twenty five years of publishing experience, including senior roles at Random House, Allen & Unwin and Simon & Schuster Australia where she was Managing Director between 2010–2014, overseeing a period of transformative change and the establishment of an Australian publishing division. She is also currently on the board of The Stella Prize. Her book industry representation includes Joint Vice-Presidency of the Australian Publisher’s Association (2012–2014) and membership of the Book Industry Collaborative Council (BICC) established by The Dept of Industry & Innovation (Dec 2012–June 2013). She is a regular panelist and speaker and has judged, chaired and developed numerous industry awards and initiatives. Lou, the Author People is a very different concept to what’s around now in terms of publishing and author services. Can you tell us about it? What can an author who signs up with you expect? We know that people’s love affair with authors and their books is as strong as ever but the way in which they discover, share, buy and interact with them is changing, driven by technology and the rise in social networking and online member communities. As a result we have found that authors are now looking for an alternative and more collaborative approach from their publishers. The Author People is author and people centric and we want to give people meaningful and direct ways in which to engage with authors and also pave the way for authors and people to interact in the future in ways yet to be imagined. We see the relationship between authors and people transcending individual books, book format types and geographical borders.We really want to streamline the connection between authors and people by providing a different type of publishing approach, really relevant promotional support and a direct global transactional capability. We view our relationship with authors as one of co-producers and are very clear that there isn’t necessarily a one size fits all approach. If we are also representing authors we will be looking for opportunities beyond books like licensing, brand partnerships, content sales and events. In terms of the audience, the whole focus is on making it easy for them to engage with and access authors and their work and we are working on the premise that we and the authors we represent will be responsible for creating that interest and demand, rather than the traditional reliance on retailers to do that. Our promotional strategy is focussed on outreach so we can help bridge a connection between authors and the people who may be interested in them. This is largely driven via social media but we can also incorporate more traditional PR activities. Ultimately what we are trying to do is enhance or amplify authors’ own connection with people. Our website is also a key component of this as it serves as an easy portal for people to get to know a bit more about individual authors and purchase their books. In addition to our own shopping cart, we will have a number of local and global retail partners links on our site. Our paper books are also available for any bookseller who would like to stock them via Ingram Content Group and ebooks available to multiple retailers globally via a third party distributor. Apart from a different outlook, another key difference between us and other publishers is that we have an entirely different business model and structure and have also re-engineered the supply chain to support a more direct author/people link as well as flexibility, condensed production timelines and a lower cost base that we can pass the benefits of onto authors and their audiences. We also differ from traditional publishers in that we don’t provide advances, though we underwrite the development and promotional costs and still work with a royalty structure. Royalties are calculated on a case by case basis depending on scope, though in the majority of cases we would be offering higher than industry average royalties – especially for ebooks. In instances where we also represent authors we retain a commission on any additional revenue opportunities we source for them. 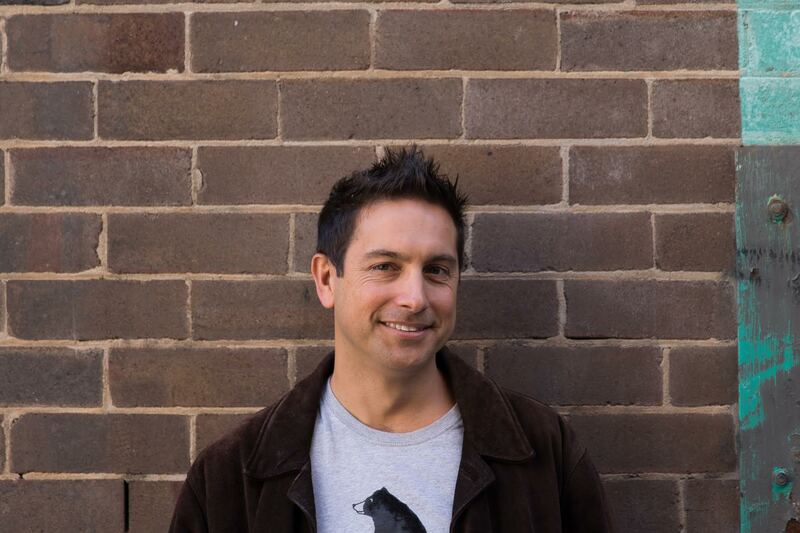 How did you and co-founder and director Tom Galletta first come up with the idea? The idea was borne out of the insights I gained through many years working in publishing. There is so much value that traditional publishers still offer but I felt there was a need for a disruptive approach to conventional publishing in order to be relevant in a continually changing environment and could see that authors were increasingly questioning the value of the traditional publishing approach. My thinking was further refined during my time as part of the Book Industry Collaborative Council and the final gap we identified was very much influenced by the findings of the Do You Love Your Publisher? survey research project conducted earlier this year, co-produced by authors Harry Bingham (in the UK) and Jane Friedman (in the US) http://www.thebookseller.com/news/authors-call-better-communication-publishers which has just been reinforced by the Macquarie University research. I had been thinking about my own venture for some time and finally resigned from my role at Simon & Schuster last year to give myself the space the develop my thinking. Tom doesn’t have any background in publishing which was really important to me as I felt that I needed the input from someone external to industry. I approached Tom to help me with the business modelling and we worked out very quickly that it made sense to become partners. What has it been like bringing the concept from idea to reality? What were the challenges and discoveries? Exhilarating and terrifying in equal measure, though my time in the industry and specifically my role as MD at Simon & Schuster served as a very good apprenticeship. Having said that, there has been an enormous amount to learn along the way and a huge amount of multi-tasking so one key challenge is managing our own work processes and resourcing and staying calm and focussed. Getting the right partners is also crucial. You were a publisher for many years. What insights do you think you bring from that side of the industry? What about Tom? During my time in publishing I developed a deep understanding about the functions and value publishers can provide but also what can be done differently if you approach things through a different lens. I also participated in enormous change and it’s not slowing down. I feel that in order to be successful in this environment its critical to be open minded and adaptable and that the exisiting industry paradigms don’t really support that. Given I have a really detailed understanding of the areas that I feel are getting in the way of that I thought we’d create a new paradigm. Tom brings a really refreshing external and impartial view which further serves to challenge exisiting industry thinking. He also worked previously in artist management and digital so he brings a lot of insight, experience and capability from his previous roles. You also have access to a team of partners with extensive knowledge of the industry. Can you tell us something about them and their roles? Tom and I are the nucleus of The Author People and work with an international network of partners and providers. We’ve featured our founding partners on the website but none of them are employed by us or work exclusively with us and we will continue to build our network. We are a proverbial “lean startup”. That is an integral element of our business DNA. Our leanness, efficiency and expertise enables us to pass on all the value and benefits to authors and audiences. The first books you’ve helped to bring into being have just come out. Tell us about them, and their authors. Our first author was Adrian Simon. There is a big backstory to the relationship between the two of us. Adrian really liked the concept of The Author People and wanted to work with me so bringing his book to the world was another driving force behind bringing the vision behind The Author People to life. Adrian is the son of Warren Fellows, the infamous heroin smuggler who was imprisoned in Bangkwang Prison in Bangkok and later wrote the best-selling book The Damage Done. Adrian’s own story is extraordinary and its very exciting seeing him able to finally tell the other side of the story in his memoir Milk-Blood: Growing Up The Son Of A Convicted Drug Trafficker. However, Adrian’s book is just one way for Adrian to tell his story and connect with people so we are working with Adrian to develop other mediums like speaking events, partnerships and other content forms. Our second author is ABC Northern Tasmania’s radio host and start up guru Polly McGee. Polly and her debut novel Dogs of India are a perfect fit for The Author People. Polly is an innovator and a natural connector, and Dogs of India also comes from her own “lived experience,” which is one of our key content areas. She originally crowd funded Dogs through Indiegogo, which served as a brilliant proving ground for her and the novel (as well as raising $8,500 for Vets Without Borders). Dogs of India is my favourite kind of book. It’s an enormously entertaining, warm and witty novel that packs a powerful message into a velvet glove. It is quite likely that Polly’s next book will be entirely different and may not even be fiction and our model completely support that. What has been the response so far from booksellers and readers? Authors love it, booksellers are supportive of it, especially our affiliate partners and it’s too soon to comment on the reader response but the early signs are good. Where are you hoping The Author People will be, five years from now? Seriously, we expect the business to continue evolving just like the external landscape. Our vision is to have the capability and flexibility to continue to diversify to ensure an ongoing deep relationship between authors and people as technology continues to develop and book forms continuing to evolve along with the ways people can interact with them and their creators.